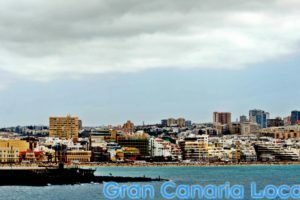 0.1 Which nationalities have made their home on Gran Canaria? Well, quite a few, including British, Dutch, French, Norwegian, Spanish, and Swedish. And German too, like our latest interviewee: Rike Paetzold. 1 1. ¡Hola, Rike! Where are you based on Gran Canaria and what attracted you to this particular area? 5 5. Finally, Rike, what do you do workwise on Gran Canaria? Which nationalities have made their home on Gran Canaria? Well, quite a few, including British, Dutch, French, Norwegian, Spanish, and Swedish. And German too, like our latest interviewee: Rike Paetzold. 1. ¡Hola, Rike! Where are you based on Gran Canaria and what attracted you to this particular area? About three months ago, I arrived on the island together with my partner and our two boys (12 and 15). 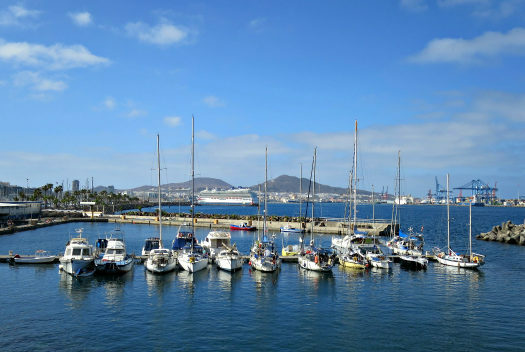 We live on our sailing boat in Las Palmas de Gran Canaria’s Muelle Deportivo. We sailed here from Greece and just decided to stay a little longer! Feel free to follow our real-life adventures online. 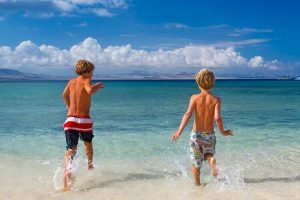 We love the Canary Islands and have been exploring the western isles. Hopefully, we’ll soon sail over to Lanzarote, La Graciosa, and Fuerteventura. 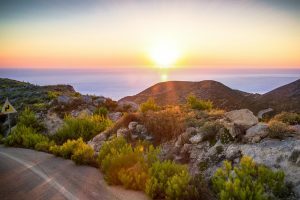 We simply adore the Canarian mentality – you’re in Spain but it feels much more Latino than the mainland. Where we live there are people – sailors – from all over and it’s great to listen to their stories! 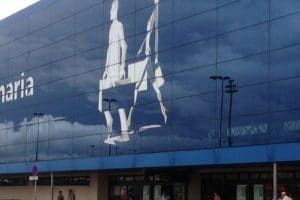 Las Palmas is excellent for us for a number of reasons. We can get everything in terms of spares and repairs, the boys can mingle with other kids, and there’s always something to see and do. Oh and there’s a number of good Asian supermarkets – I love to cook East Asian! Order/make your own papas arrugadas and explore the whole island. It’s not known as a miniature continent for nothing! I especially love the wild west coast and I recommend hiking to Guigui. Take advantage of the great climate and check out Las Canteras beach for surfing. Black sesame. If you see black sesame ice cream for the first time you wouldn’t expect it to taste very good (it’s grey!) but it does, it’s delicious. Before we sailed here I thought of Gran Canaria as this very touristy and overdeveloped holiday destination (peppered with ugly hotels like much of the mainland’s coastline). Only after we got here and explored the island by foot, car, and boat have we realized how beautiful and diverse it is. Sailing, anchoring, experimenting with Canarian recipes, hiking, getting lost in the old districts of Triana and Vergueta, listening to Latino rhythms and of course: playing volleyball on Alcaravaneras beach. 5. Finally, Rike, what do you do workwise on Gran Canaria? I am a leadership coach and trainer and I work through Skype (coaching), travelling back and forth to mainland Europe and inviting leaders for workshops to wherever I happen to be. In fact, I’m planning an open workshop here in Gran Canary for November – there are so many beautiful spots! I have always enjoyed travel and living abroad, residing in the likes of Costa Rica and Taiwan. 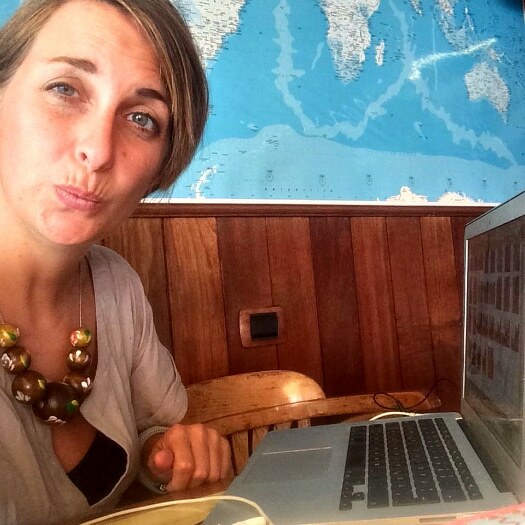 With my job, I am able to combine my love for travel and different cultures with a career. Are you a GC native? Or have you gone local on the island? If so and you’re interested in participating in this series, drop us a line.